I’ve always said that I was born in the wrong decade! I truly yearn for the simple life of the early 1900s. I think that’s partly why I love being frugal. I get so much satisfaction from growing and making my own food; and living a simpler, less materialistic life. When we make our own ice cream it reminds me of simpler times. 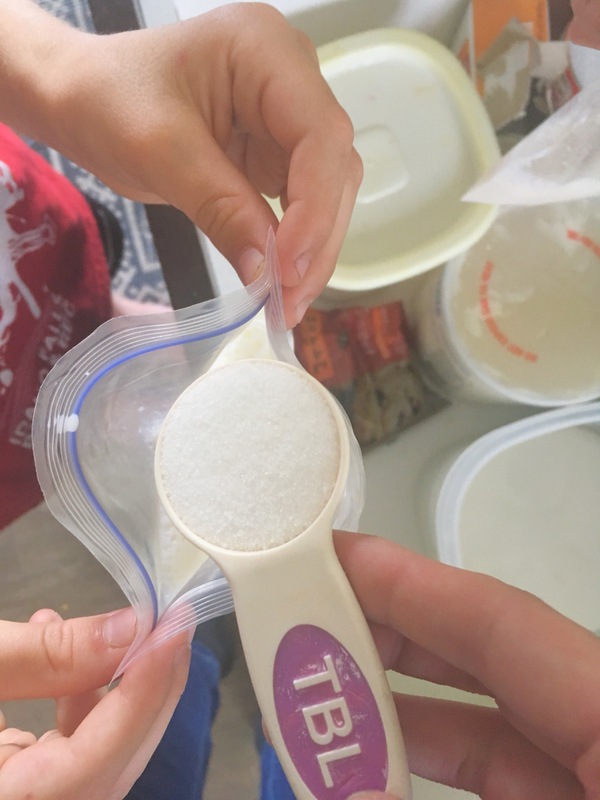 It’s a way for the entire family to make our very own ice cream, no need to go to an ice cream parlor or the grocery store. We can do it on our own! 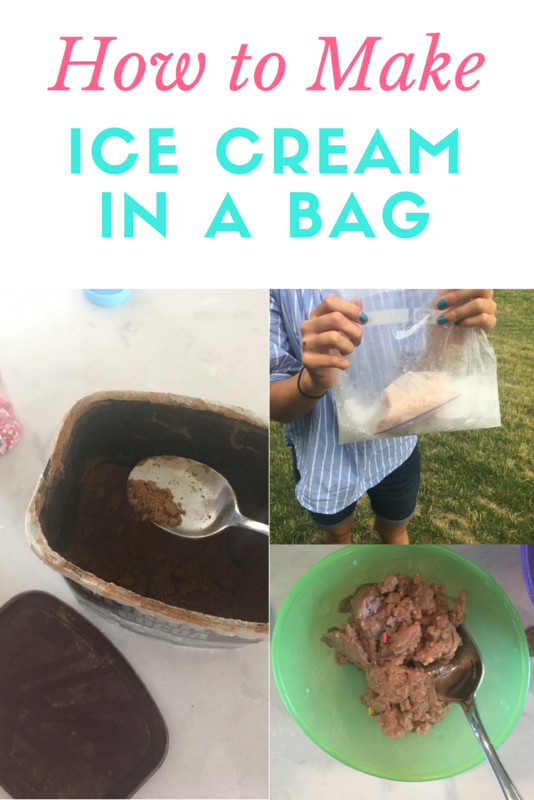 We always have ice cream in a bag on our summer bucket list. It’s easy (the kids can do it themselves!). It’s cheap. It’s fun. I almost always have all of the ingredients on hand. And, who doesn’t love ice cream on a hot summers day???? I know we do! 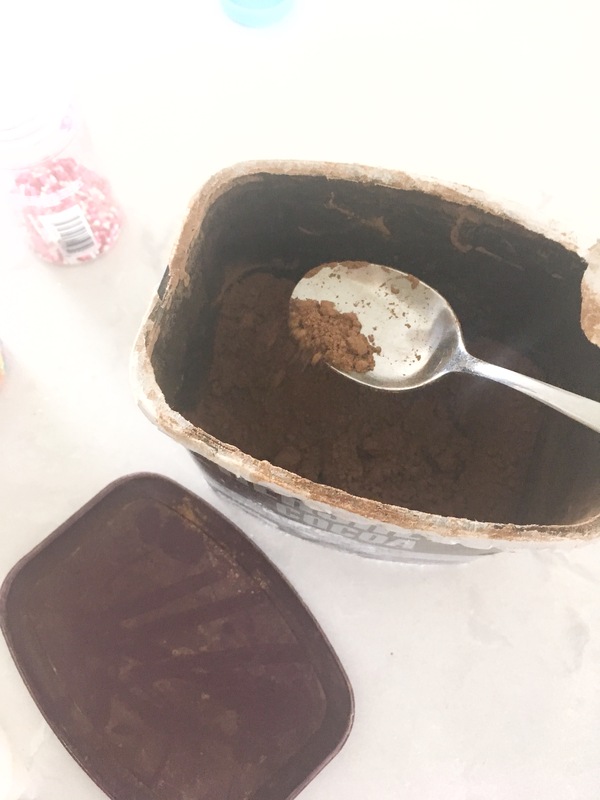 Mix half and half, sugar and one or more mix ins (we used cocoa) in a quart size Ziploc freezer bag. 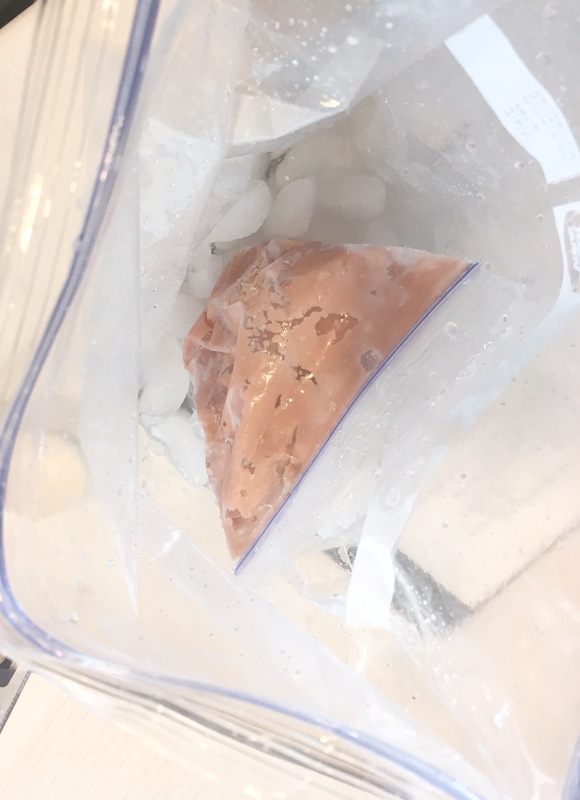 In a gallon size Ziploc freezer bag dump in a lot of ice and about 1/2 cup ice cream salt (I never measure this, I just kind of guess). 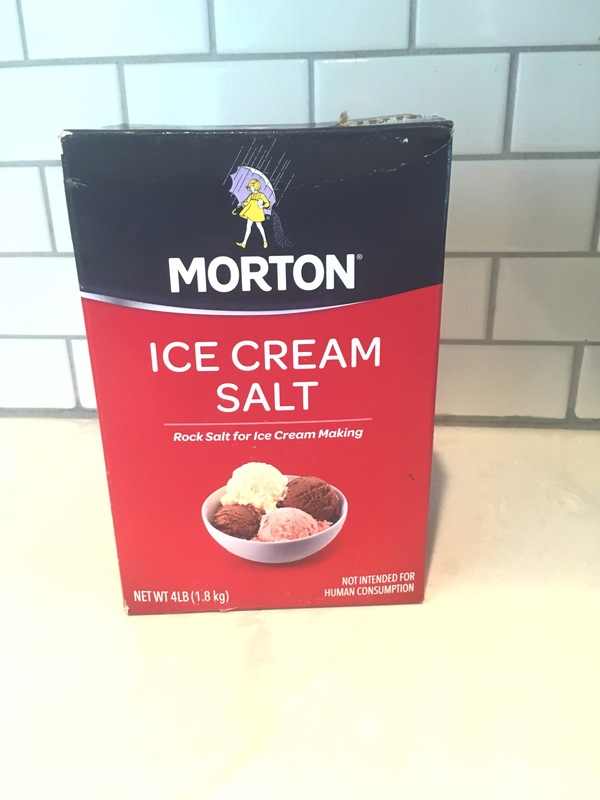 Take the quart size bag with the ice cream ingredients and get out all the air and seal it shut. 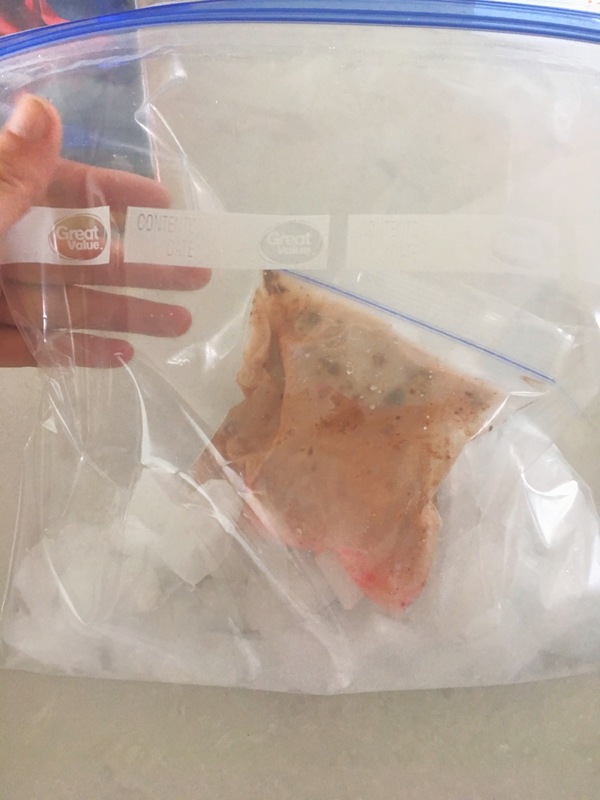 Make sure the bag is sealed tight so no salt will get inside. 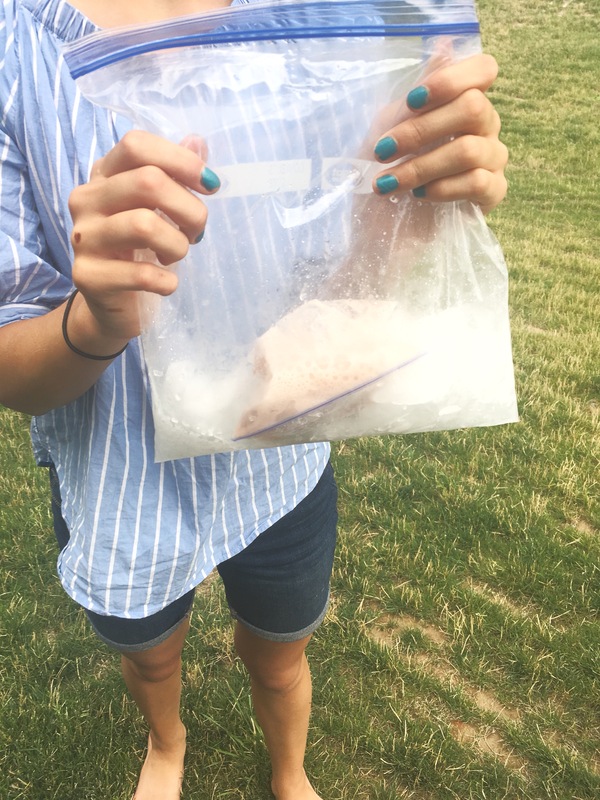 Place the quart size bag inside of the gallon size bag. Now for the fun part. You shake it! This takes about 5-10 minutes of HARD shaking. It’s important to be shaking it constantly. 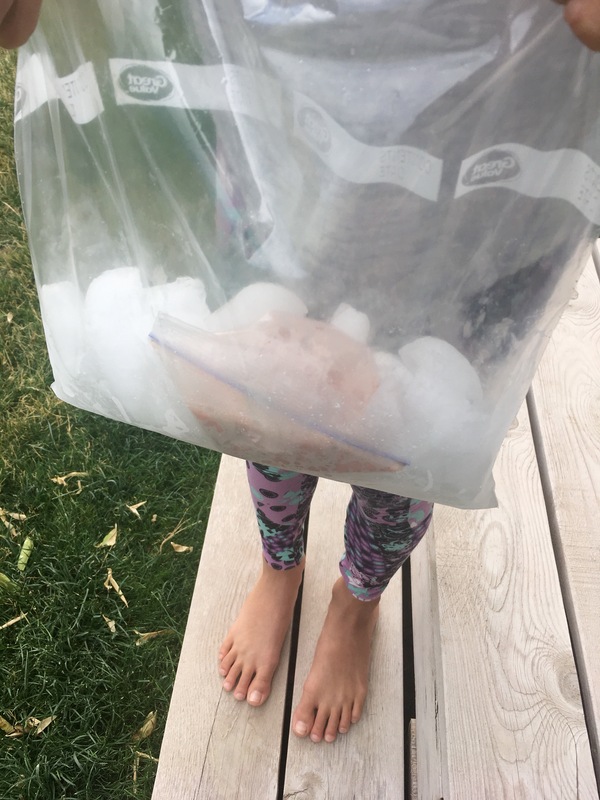 I will usually help my little kids to make sure it gets nice and frozen. 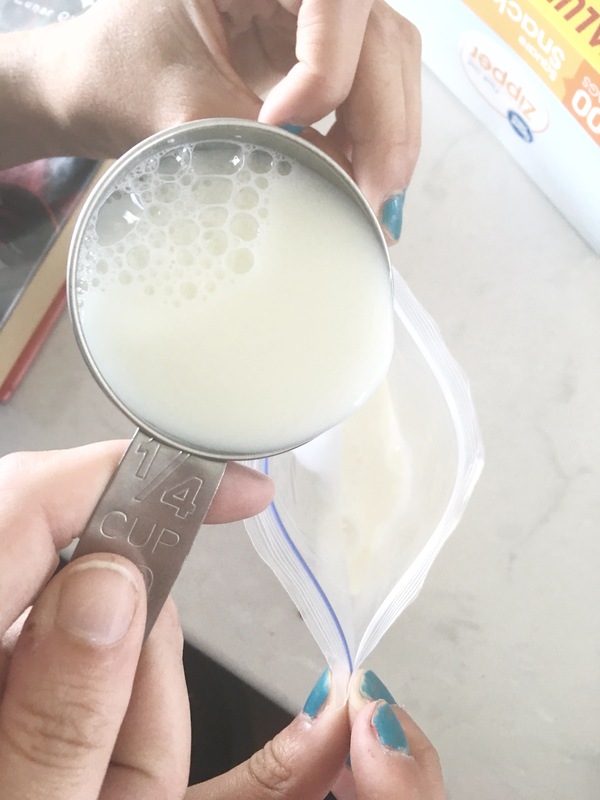 Once the milk mixture looks frozen, take the quart size bag out and rinse it under cold water. This helps to wash off any excess salt. 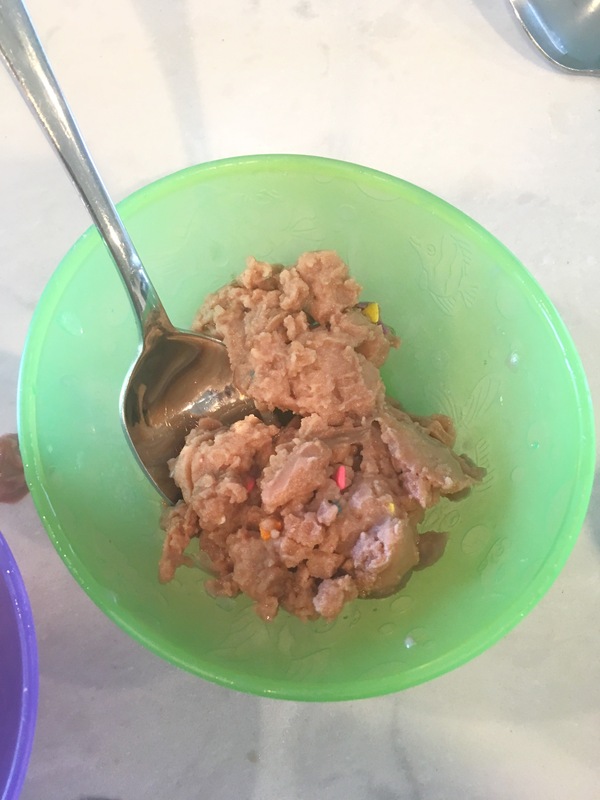 Pour it into your bowl, top with sprinkles if you’d like, and ENJOY! 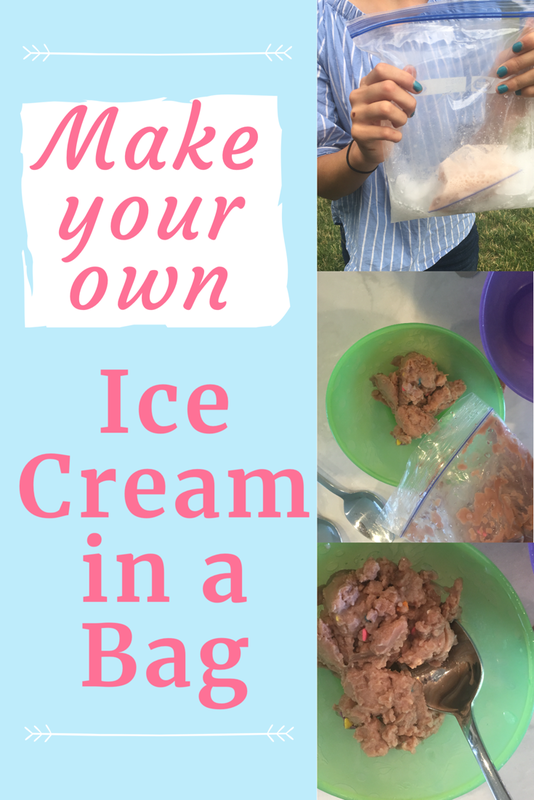 I love the simplicity of this activity, and the excitement the kids get out of making their very own personal ice cream! I hope you love this recipe as much as we do! It’s fun to try to make different flavors! 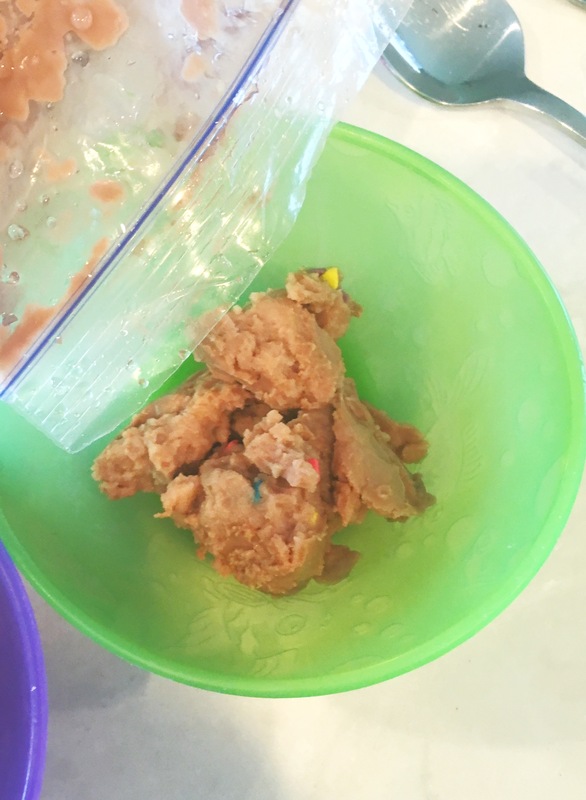 My daughter had the idea to use a little mint extract and chocolate chips in our next batch for our own chocolate mint flavor! There is really no right or wrong combo!